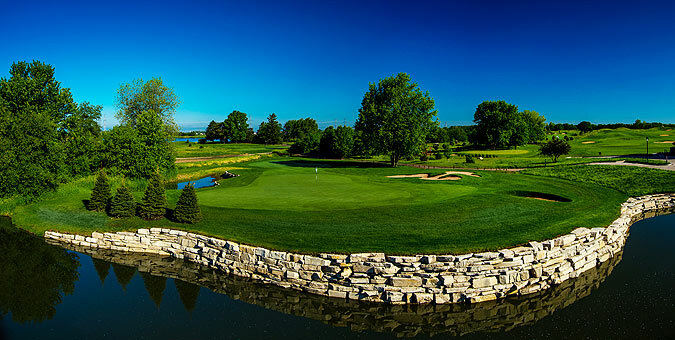 Mistwood Golf Club is one of Chicagoland's premier public courses - with a recent 5-star rating from Chicagoland Golf and a 4-1/2 star rating by Golf Digest. The layout has been completely renovated by its original architect Ray Hearn. Every hole has been touched by the renovation. 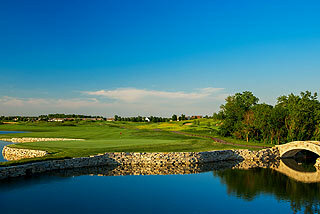 Mistwood has added 19 St, Andrews style sod wall bunkers, enhanced green surrounds, lannon stone lined lakes, and new tees. 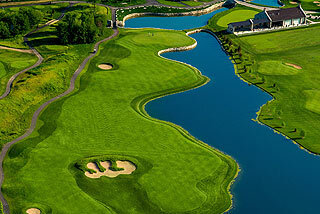 The golf courses added length now equals over 7,000 yds. 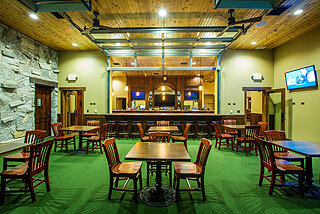 Mistwood has also created a premier Scottish style state of the art performance center. We have not seen anything like it. Mistwood is centered around a 65 acre lake and features split fairways, terraced tees and five of the best finishing holes in the state. Manicured conditioning from tee to green makes this an aesthetically pleasing experience - golfers of all skill levels will find something they like at Mistwood. This is one beautiful golf course! 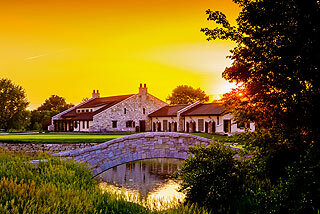 Mistwood's awards include: "Renovation of the Year" (Golf Magazine), "Best New Course/Renovations" (Golf Digest), "Top Three Renovations in the World" (Golf Inc. Magazine), "Top Fifty Ranges in the United States" (Golf Range Magazine) and "America's 100 Best Club Fitters" (Golf Digest). 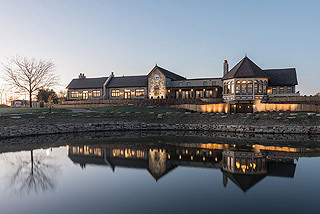 Amenities include a beautiful new full service clubhouse with pro shop and a restaurant/lounge that features some of the finest cuisine in the area, with a menu that ranges from steak to burgers and fries - prepared by an award winning chef. The spacious banquet/outing facilities can accommodate groups of various sizes and present scenic golf course views. An 18-acre practice facility and new Performance Center is complete with targeted grass range, large putting green and short game area with sand bunker. Lessons are available from there award winning professionals using the best teaching equipment available, Trackman, Foresight, SAM Putt Lab, and Quintec. Mistwood uses this equipment to do custom club fitting where they can match any shaft with any manufactures club head. They have truly become a one stop shop for all things golf. Five sets of tees are provided, with distances and slopes playing to 7005 yards/144 slope, 6782 yards/141 slope, 6396 yards/138 slope, 5961 yards/133 slope and for women, 5332 yards/130 slope. We noticed that the yardages are evenly dispersed between the tees, which mean golfers of all skill levels can choose a yardage that suits their game. Also evident is that the course is well marked, with 150 yard stakes and the Kirby marking system in place on the fairways, plus color coded flags to indicate front, middle or back pin placements. 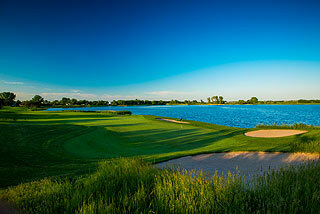 Water comes into play frequently on the layout - on all 18 holes - in the form of creeks, wetlands, lakes and ponds. Sculpted tees, rolling fairways, medium sized, undulating greens with tiers and ridges and greenside mounding and bunkering will challenge players of all skill levels. The Mistwood website (available on our info page, which can be accessed through the link at the end of this review) features a hole by hole diagramming system, with tips on how to play each hole. There also are 74 bunkers spread out on the course, located both greenside and along the fairways. From holes 14 on, golfers will be challenged with scenic beauty and some interesting golf shots as they maneuver some of the best finishing holes in golf. 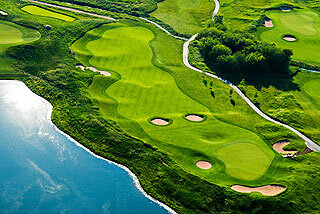 Pictured below are the finishing holes from each of the nines - both great golf holes! 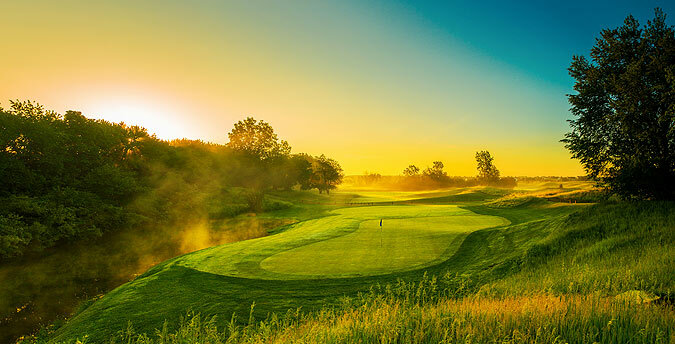 Mistwood was designed in 1998, but is really coming on strong now, as indicated by the 4-1/2 star rating in Golf Digest Places to Play, and 5-star award from Chicagoland Golf . This is a great bargain for the Chicago area. We highly recommend a round here! For more info, visit our page for Mistwood with direct link to its website by clicking here. 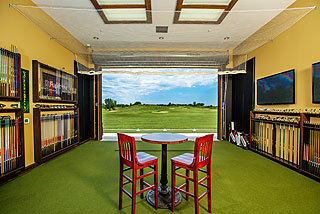 Photos in this review were provided by Mistwood Golf Club.